A highly-versatile media player with the added functionality of RS-232C and full network control. The DN-700CB is a highly-versatile media player with the added functionality of RS-232C and full network control. 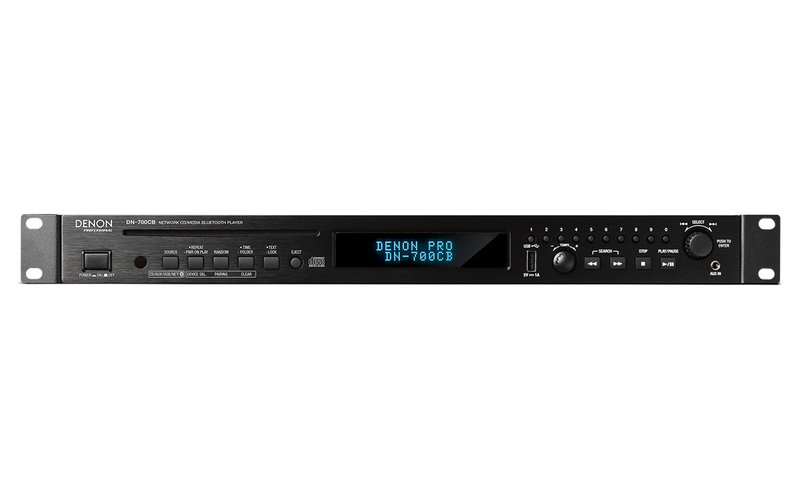 The DN-700CB plays files from CD, USB, Bluetooth-enabled devices and files on a local network – along with a 3.5mm AUX input for connecting external playback devices. 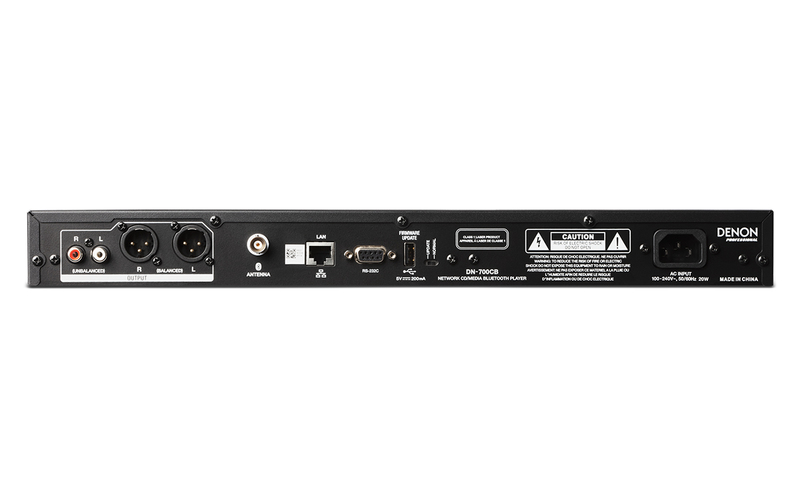 Perfect for retail, house-of-worship, education and hotel/conference applications, its intuitive web-based interface gives the user full control of the DN-700CB from setup menus and transport control to hot-start playback.